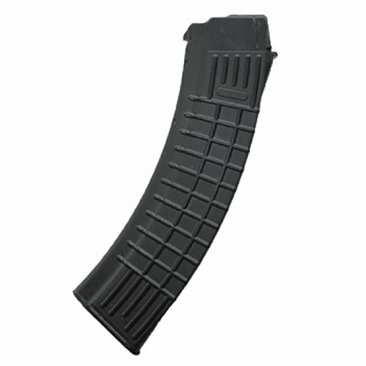 Arsenal, Inc. > Magazines > AK-47/74 MAGAZINE for 7.62x39mm caliber rifles in "Waffle Pattern" style. 40 rd. capacity, Original Bulgarian Circle 10 magazine, Black Polymer Body. 5.45x39mm caliber "Waffle Pattern" style, 45 rd. hi-cap. Circle 10 magazine. MAGAZINE for 5.45x39mm caliber rifles in "Waffle Pattern" style. 45 rd. capacity, Original Bulgarian Circle 10 magazine, Black Polymer Body.